“THE WORK OF VALERIAN KAROUŠEK IS, DESPITE ITS EXCELLENCE, LASTING IMPORTANCE AND AN IMPORTANT ROLE IN THE CONTEXT OF CZECH SCULPTING SCENE, LARGELY IGNORED. MOST OF THE YOUNGER GENERATION AND THE GENERAL PUBLIC HAVE NO KNOWLEDGE OF THIS MASTERPIECE AT ALL.” WE DECIDED TO DO SOMETHING ABOUT IT. 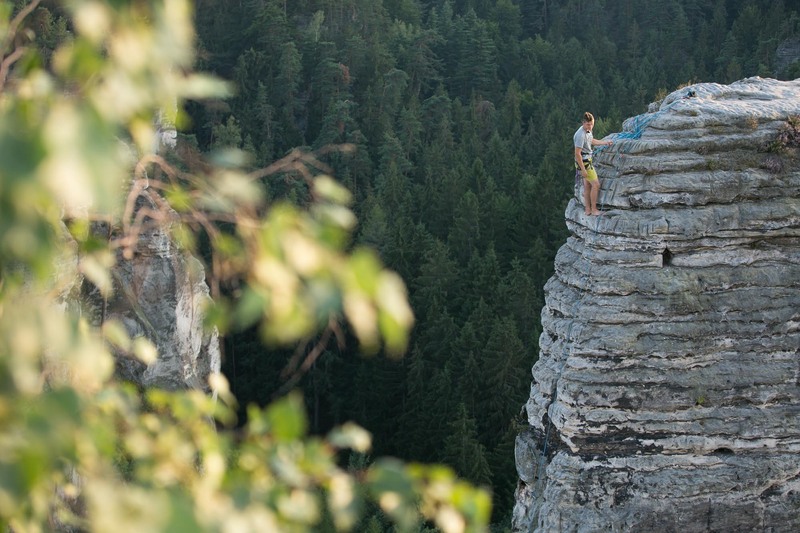 One does not go the Czech Paradise to climb numbers, one goes there to climb names. This article will comment on the work of art of the sculptor Valerian “Rišík” Karoušek, who opened a beautiful line on the edge of the majestic Maják tower in the Czech Paradise. He tried it for the first time when he was only fifteen years old. He started the project with Zbyněk “Alík” Gräf: “The first time we tried the route, Pepa Smítko (2WW climber) was strolling around and gave us a proper cussing for that: “you brats, fools, don’t even try it.. !” He was probably afraid that we might screw the route up. 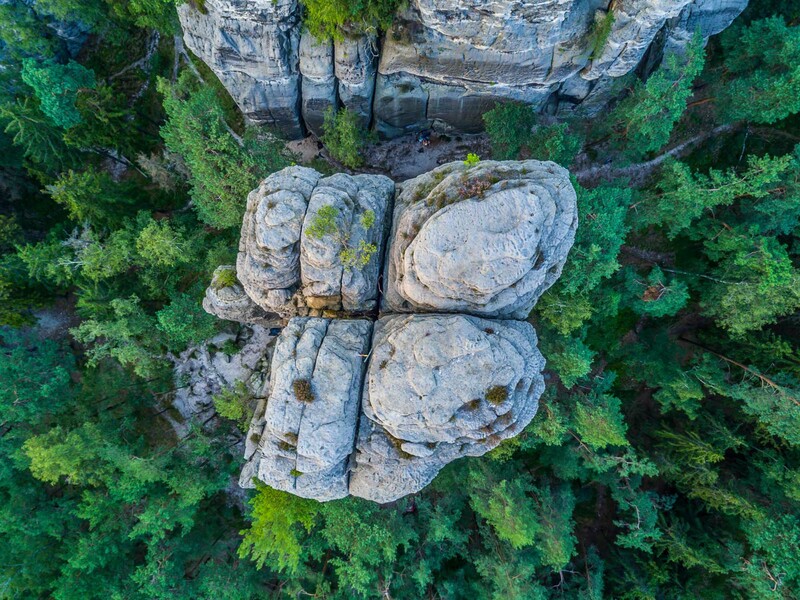 The route has quite an easy start but the upper part looks much harder, so we agreed that we would put the first ring as high as possible.” However, the route did eventually get finished, despite the concerns of the legendary Joska Smítko. They put the first ring to place in August 1944; you can still find it there today. 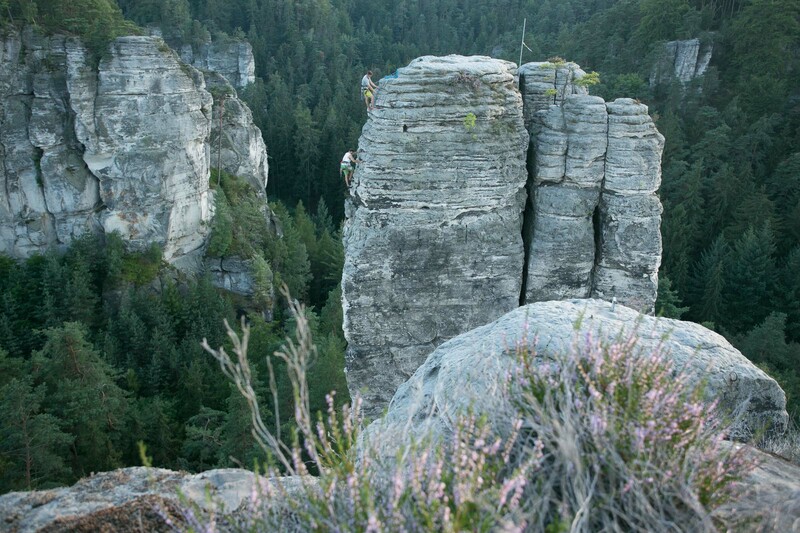 Karoušek then completed the route With Láďa Jisl a year later. This masterpiece was finally completed in April 1945; a month before the end of the war and a few weeks after Smítko’s death in Terezín concentration camp. 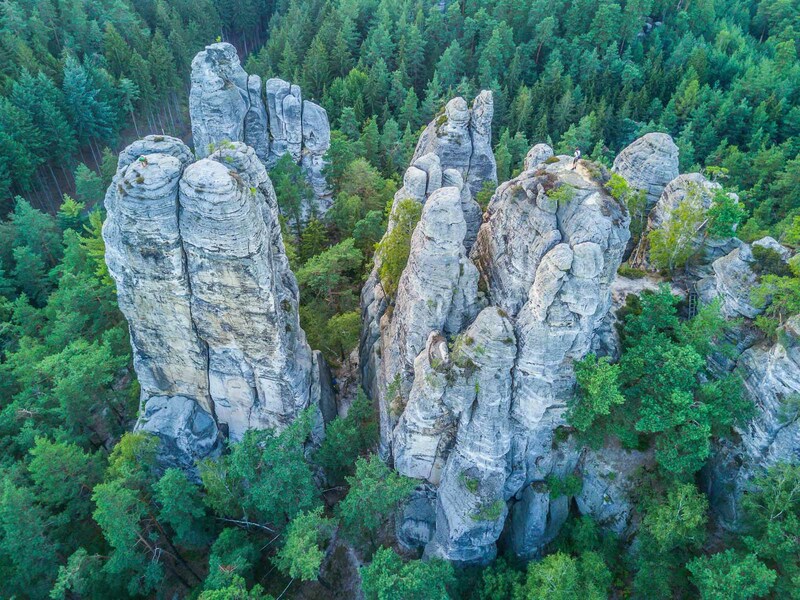 Karoušek gave the route its name by following his habit of naming them after architectonic styles, thus in Skalák, you can find routes with names like: “Empire” VIIc on Kapelník tower, “Art Nouveau” VIIc on Blatník tower or “Baroque” VIIb on Opomenutá tower. Who was this Valerian Karoušek then? Maybe his peer Bohouš Svatoš can tell us more about him. Keep reading and don’t forget to check the original video. 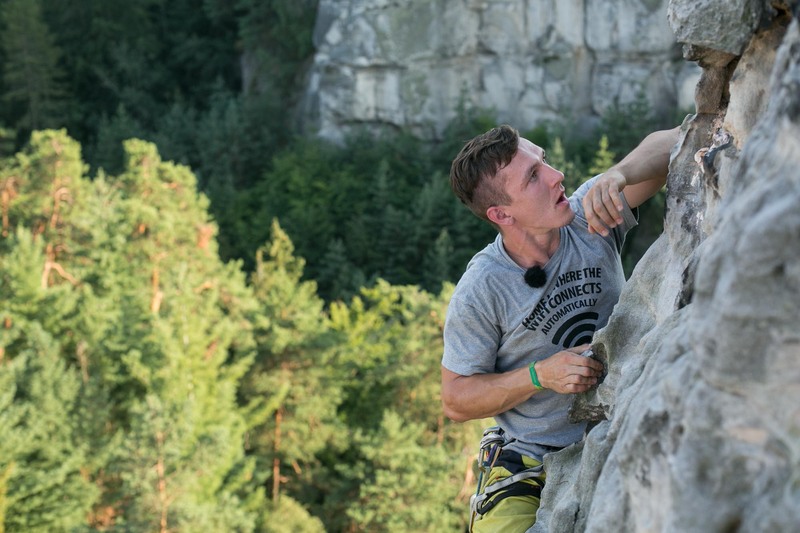 In the video you can see Tomáš Maštálko (up to the second ring) and David Eisler (the rest to the top) climbing the route for eMontana magazine. There were five of us of the same age – born in 1929. We all were attending a school in Mašov. We had the same blood type, so we have created a pact together and we started climbing together in 1942. There was nobody else who could ever join us. We climbed always together aside from the others. 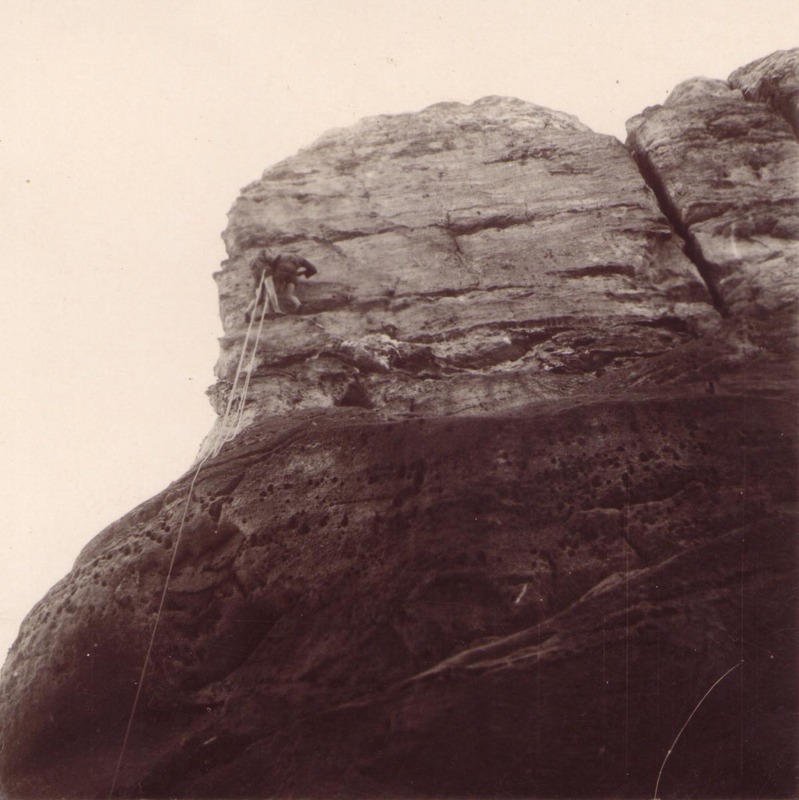 Rišík started his climbing life with some of the older climbers who had more experience and took him everywhere. We knew each other but we never climbed together. 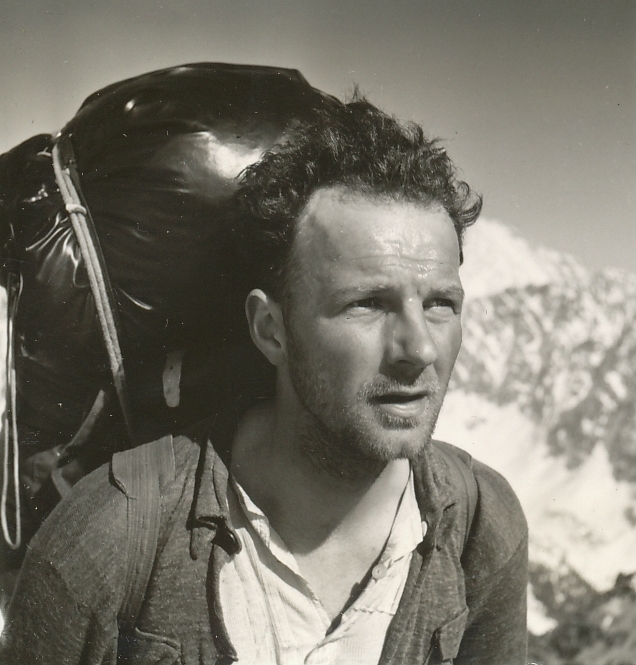 I first got a chance to climb with him in 1951 on Tery’s hut cabin in the High Tatras. 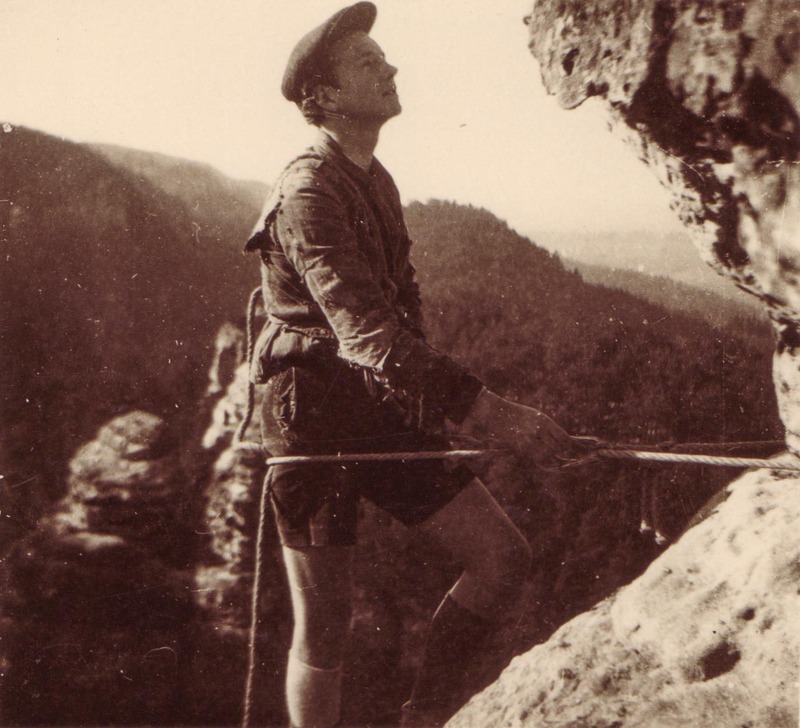 We never climbed in Skalák together, but we were meeting quite often – he later studied in Prague and had his climbing friends there with whom he went to Skalák. 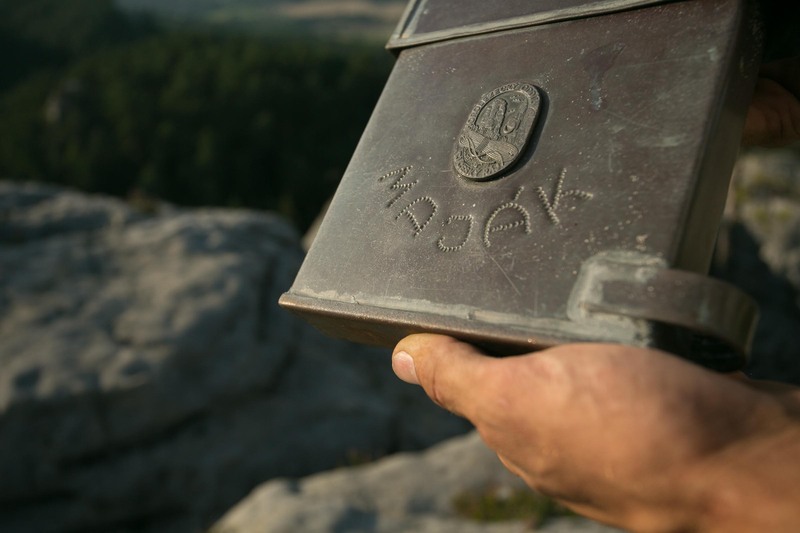 What did you climb with him in the Tatras? 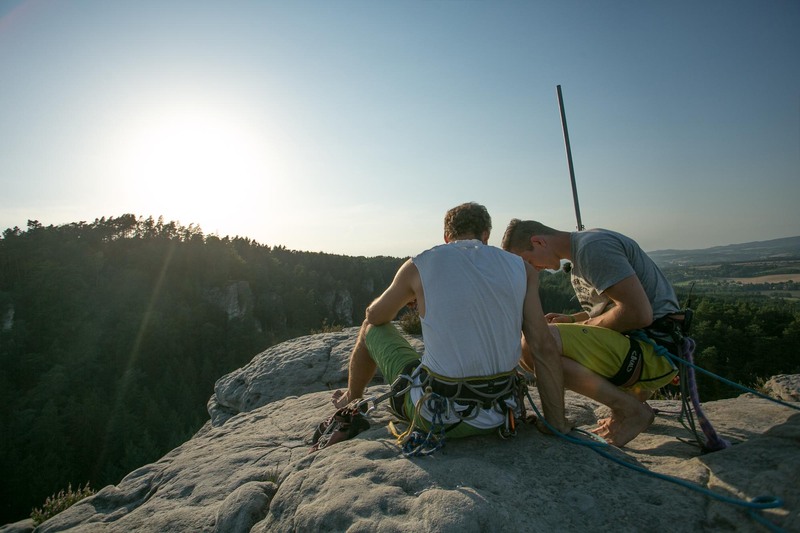 We made an amazing first ascent on Rumanův štít mountain there, it’s a direct variant of an old route graded as VI. Rišík wasn’t a big fan of climbing in mountains though, so I had to lead the whole route back then. 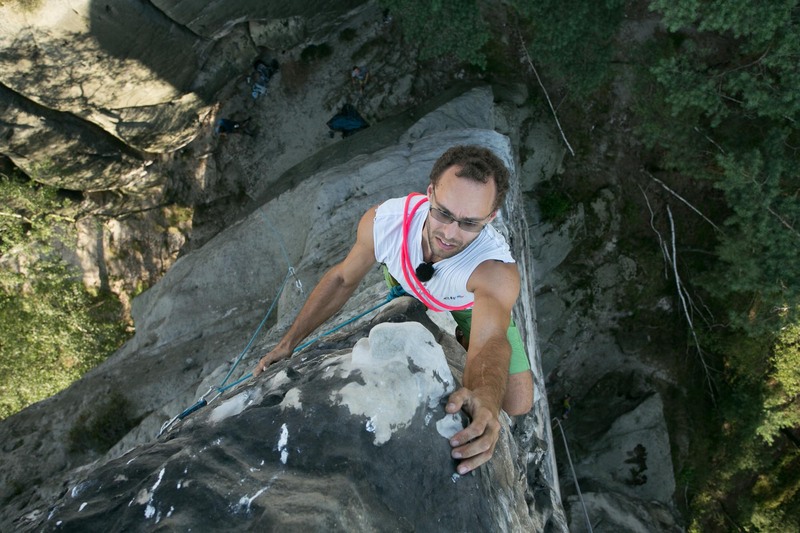 he was much better in Skalák sandstone rocks – in my opinion, his best routes are “Gothic” and “Baroque” – both are overhanging, but with really nice jugs. What is your best memory with him? You were a student back then, right? That means you could spend the whole summer there? No way. Rišík could spent his whole summer there because he was still a student, but I was already working, so we had to swindle it. We found a doctor who sent a message to my job: “As for now, Mr. Svatoš is unable to return to his job because he is being hospitalized on Tery’s hut cabin with a distortion on his right knee.” After that we had a two month holiday there.” (he laughs) . 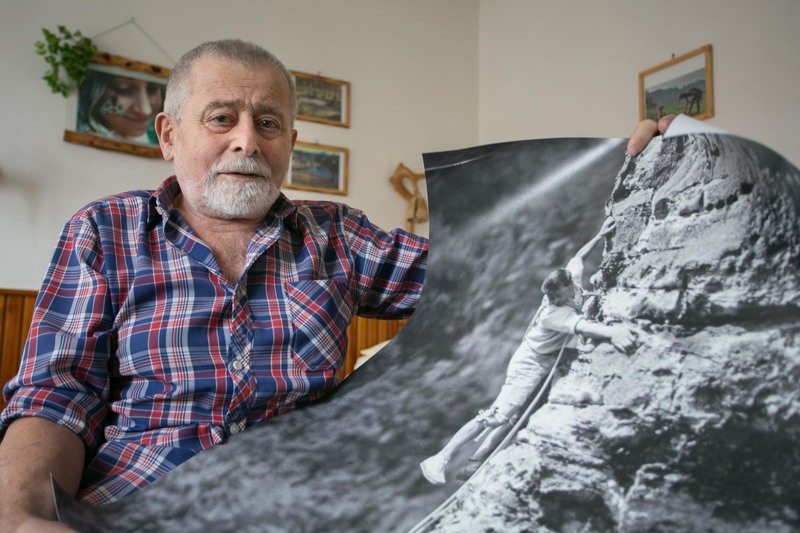 Just to give you the historical background … one more story with Valerian Karoušek as told by Radan Kuchař: “Karoušek had a quite old rope of his and we were climbing the famous Kobyla tower in Příhrazy with it. 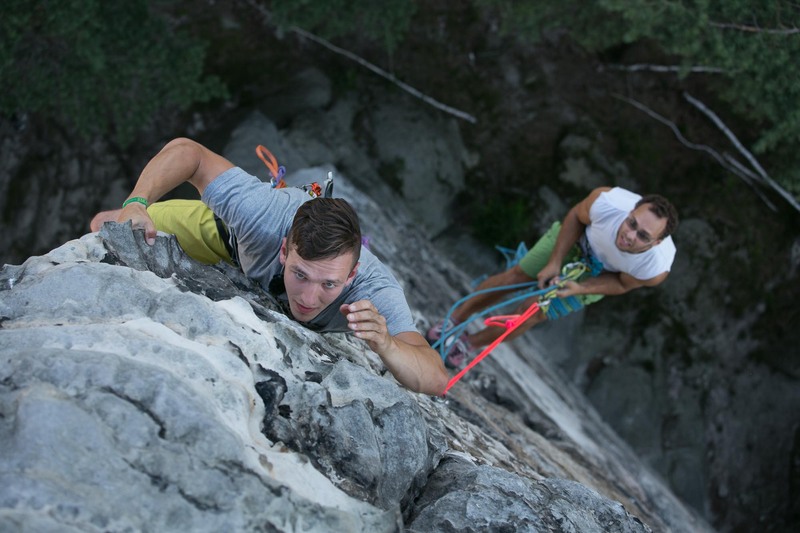 When we finished climbing, rappelled and sat under the rock, Bohouš Nejedlo suddenly appeared. Bohouš just glimpsed at the rope and said. 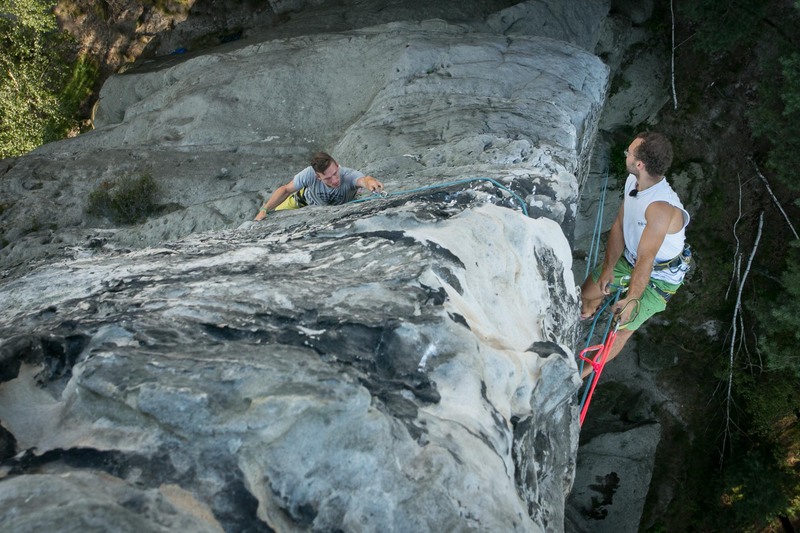 “What the hell are you guys climbing with?” That’s awful! He took it, tied it to a tree and then he pulled it with all his strength. The rope just snapped, of course, without any sign of resistance. 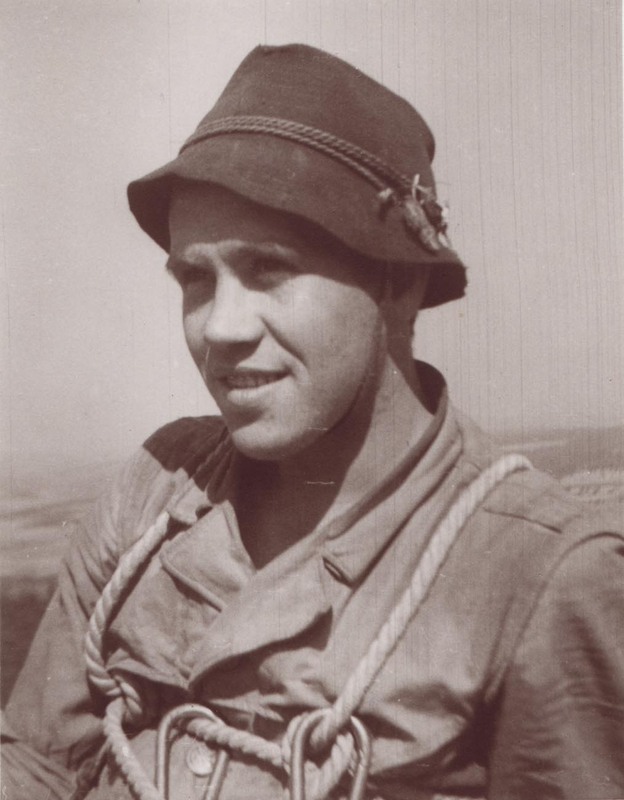 Karoušek started immediately cussing him for destroying his favorite rope…” (he laughs) Valerian Karoušek died under Huascaran in 1970 aged 41. We exhibited his sculpting works on several occasions. 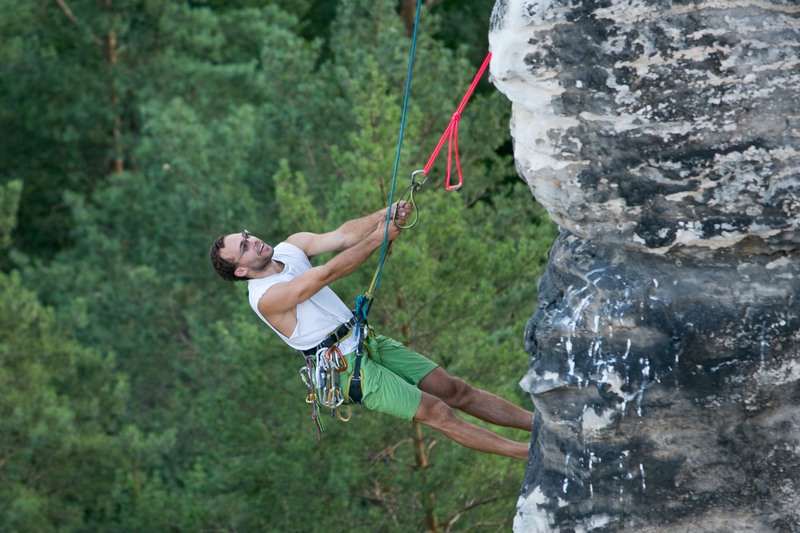 His climbing works are open every season from the first of April. Tomáš Maštálko climbed for our video this time. It wasn’t his first time on “Gothic” though. 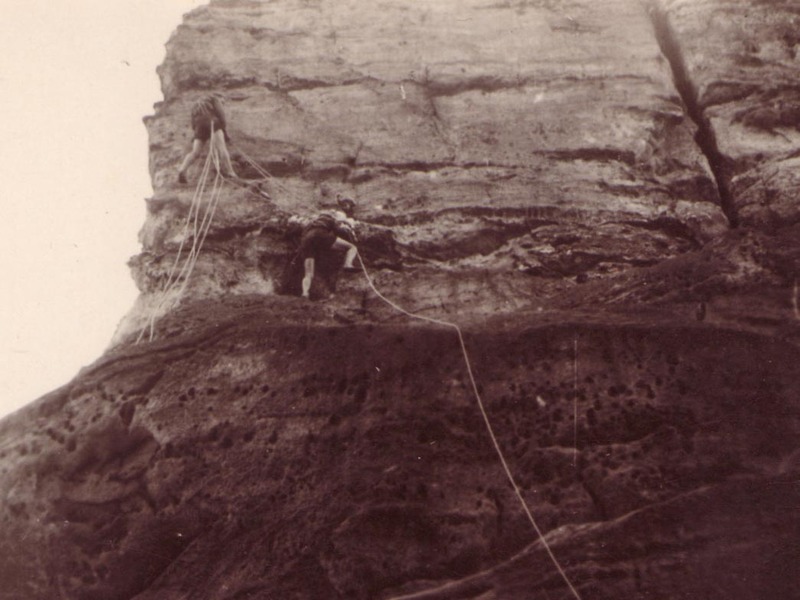 What are his memories of the first attempt at this magnificent route? I was dreaming about climbing the route for a long time and even longer talked about my plan to finally climb it this past month. A bit of that waiting was ultimately worth it and so me and my friends packed our backpacks and went into the rock one dry Saturday in May. I don’t remember if we climbed anything else that day. There were three of us: me, Anička – the already experienced climber, and Štěpán – the talented soon-to-be climber, whom I took for his first day in the rocks. Both of them were quite surprised by the immense height of the wall but the excitement prevailed over concerns and we ventured upwards. 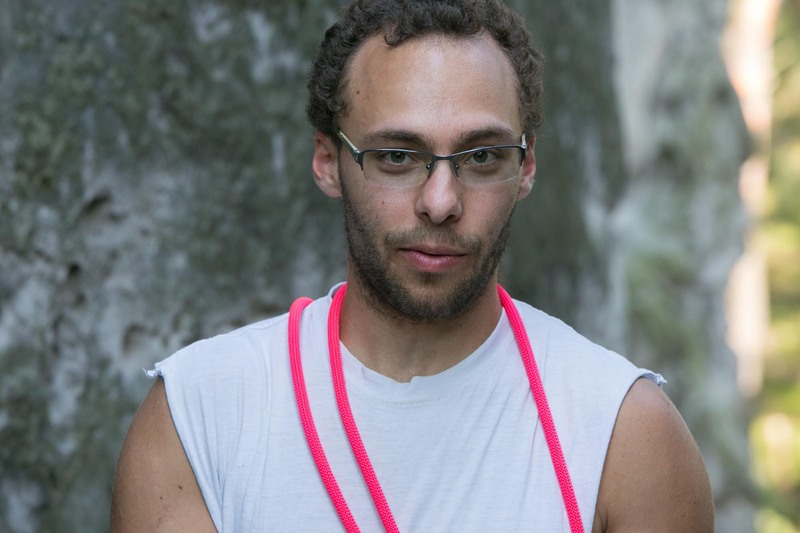 I spent quite a long time tied to the second ring because I had to belay both of my following climbers up there. I actually enjoyed this time, because of the amazing view of the surrounding towers in the evening sun. I’ll never forget those moments. White towers full of climbers, a mild spring breeze and air full of Kestrel. And then Štěpán contemplating his concerns about the weight that the rings can withstand 30 meters above the ground. The ring, though, turned out to be rock solid and we safely got to the top all happy. And even I was quite surprised that Skalák offers such beautiful and solid routes.” (note: We do not encourage anybody to climb this route on the basis of this review – some might say that the route is not so solid after all.”) Well, it’s sort of solid, at least considering the typical rocks in Skalák area. The only part that falls apart is the start of the route, but the hardest spots are quite solid. Of course, when you compare it with other sandstones it’s still closer to a sandbox than a rock. “When have I climbed it?” Looking into a guide: 30. 6. 1988. That’s like prehistoric times (he laughs). Well, it felt hard. 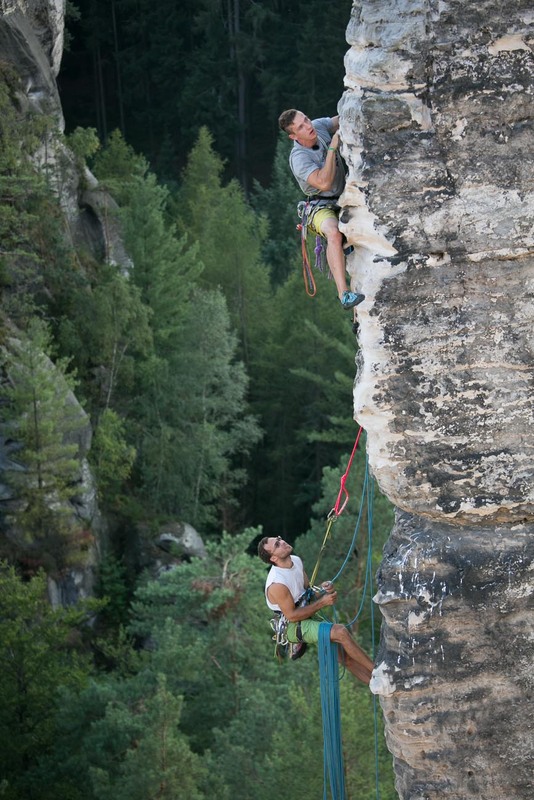 You had to think about that route – not just to climb it. I remember that especially going beyond the first ring was quite a challenge. We didn’t have proper climbing shoes back then, so we had to use old football shoes. Then I tried it again in 2012. And when did it feel more difficult? The first time, I was quite scared. The older you are, the more experience you have, and it just feels better. 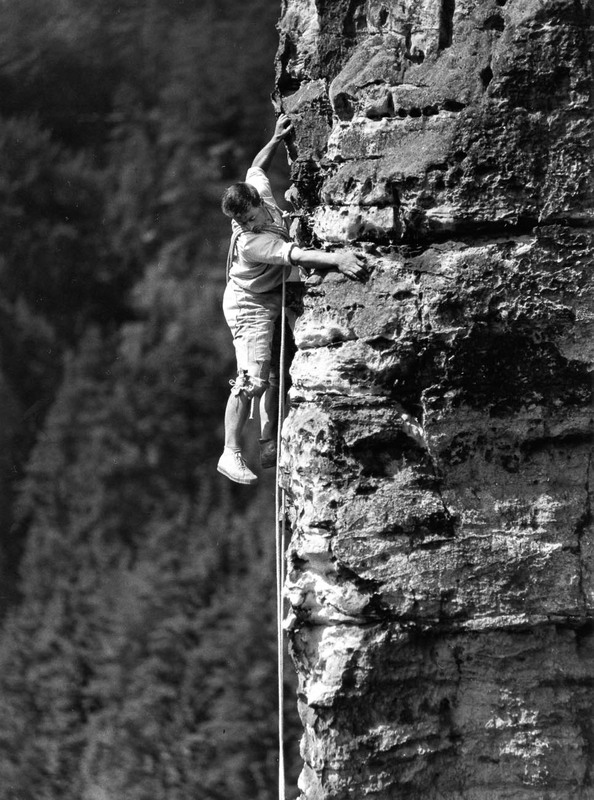 And those of us who keep climbing do not lose their strength. 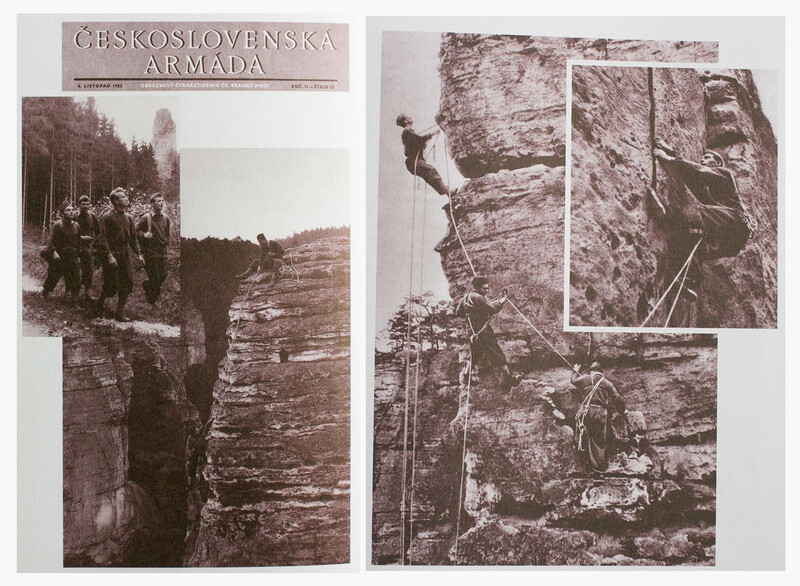 “The Gothic Edge” appeared in 1953 on promotional posters of the Czech Army. In the main roles left to right are marching: Second Lieutenant Machaň, Lance Corporal Kopal, Cerman and corporal Haleš. Professional video editor, cameraman and occasional photographer. He was shooting in China, Argentina, Indonesia or India. His next destination is New Zealand.